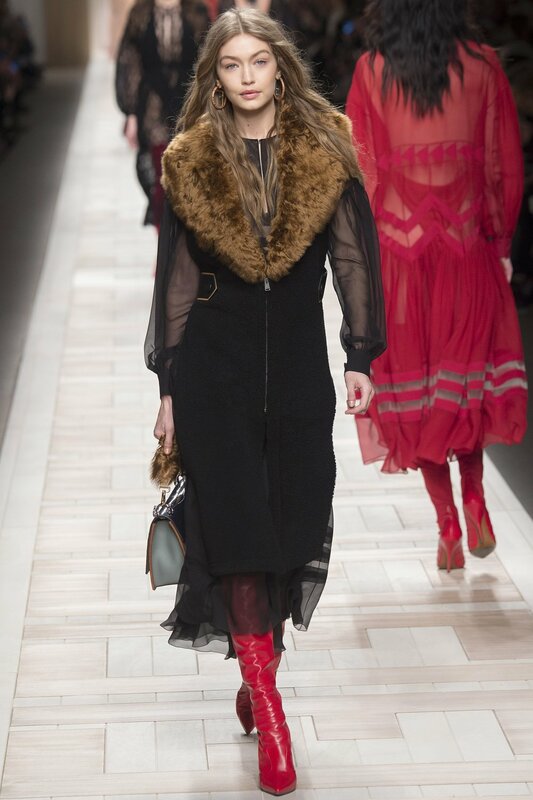 Fendi's take on red boots, red knee high, thigh high boots were the talk of Milan Fashion Week. 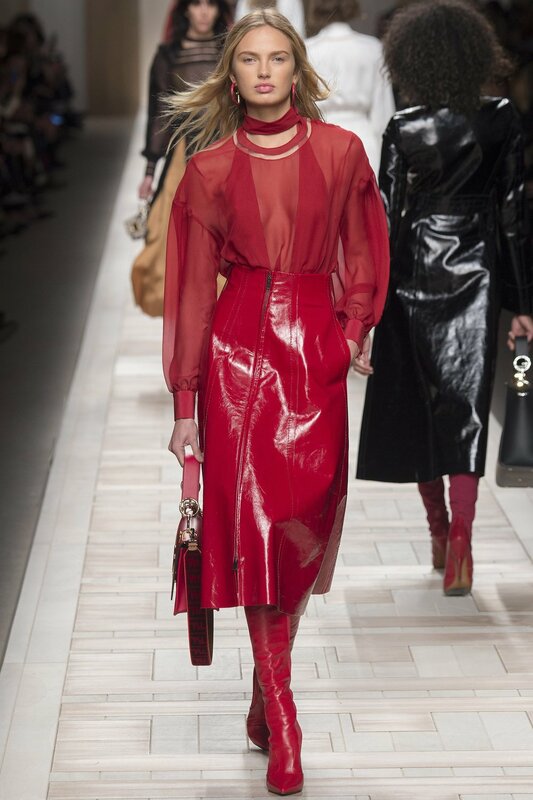 It felt like a metamorphosis of so many different trends from Donald Trumps ridiculous long red tie to Louboutin's iconic red soles coming into one singular narrative, in one quantum leap the levity and joy of what Fendi. Sure the clothes were amazing. The fur cups, the see through seduction were all there. 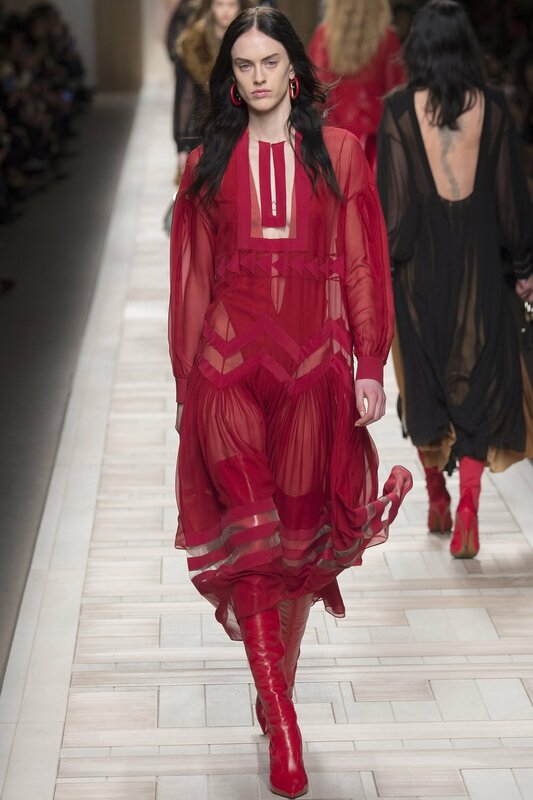 But the red knee high boots, borrowed from every single shade of red and crafted into a self-sustaining super red made everything dim in comparison. 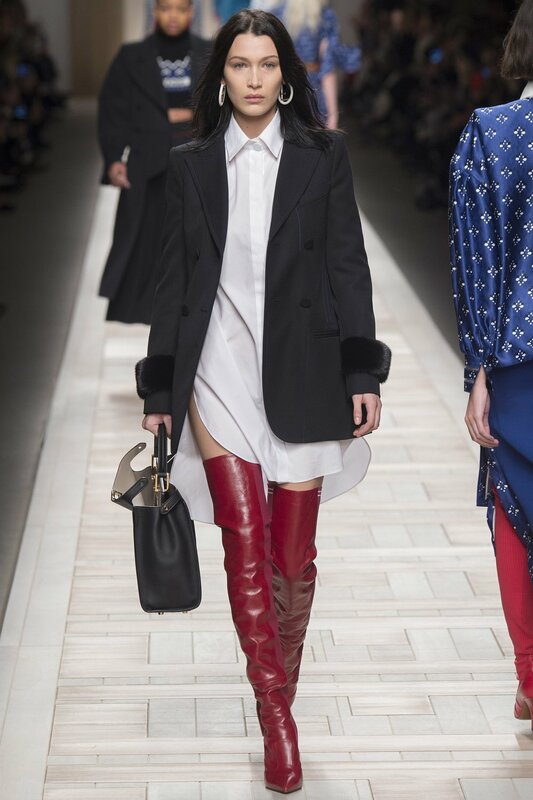 Nothing beats Fendi when it comes to hammering in a tunnel vision with the guile of a ship captain heading out of the abyss of fast fashion and tedious symmetry. 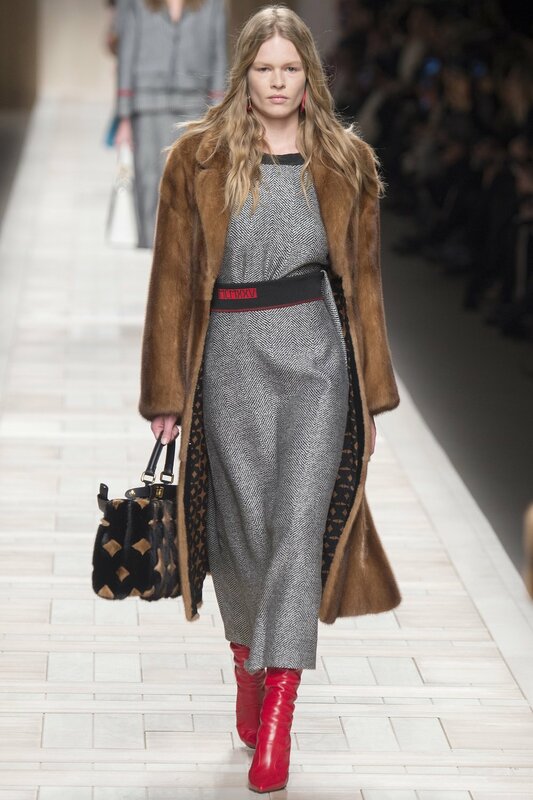 Maybe nothing beats Fendi anymore, period.